In this introductory video, Bob will explain the purpose and intended audience for this series of lessons, what to expect, how to get the most out of it, what tools you'll need and pre-requisites before starting. I am following your other series "Windows Phone 8.1 Development for Absolute Beginners" and I am currently at Part 9 (Exercise: Tip Calculator). Would you recommend me to stop following that series and start with this ? Btw, these courses are really good. Thank you. These series have helped me immensely. Looking forward to the PDF though, as I am not particularly able to view the videos, and rely on the written component to learn. I think Developers TRULY need Windows 10 PRO Version for creating and testing(Hyper-V, Windows Apps Emulation) apps for Windows 10. Hi Bob. I'm so happy that you are back with windows10!!!!!! Couldn't wait! Just in time (got three days off:)). BTW you look 10 years younger than last time with windows 8.1:) I wish I had a private teacher like you. Thank You Man. Take Care. The previous series on Windows phone 8.1 was great, so I'm really looking forward to watch this series. However browsing quickly through the episodes there seems to be a small but difficult gap between your 'absolute beginners' series and creating apps with advanced tooling/techniques such as using mvvm and the new template 10 library (and all useful parts in it). It seems that in real practice we should use these advanced techniques. It would be really helpfull if one of the example projects is illustrated using these advanced techniques in an additional epsiode. Thanks a lot for all the effort already in this new series! Next weekend I'll start watching them. Hello bob, its Ali Asad. I wanna say thank you. your video series helping us a lot. I have an iMac, Mac Pro, Macbook Pro, and an iPhone 6s and 6s Plus, so how could I do some Windows 10 development, and my PC is in Windows 8.1, I also had Android that is Samsung Galaxy S6, S6 Edge, S6 Edge+, Note 5, Moto X, Google Nexus 6, HTC One M9, LG G Flex 2, LG G4, and many more, these are my currents, and an iPad Air 2, an iPad mini 4, and an iPod touch 6th generation, even a Windows 10 VM, a Surface 3 Pro, and my Lumia 640 and 640 XL is running Windows 10, not so good performance as my iPhone 6 or 6 Plus, never bother an iPhone 6s or 6s Plus. I compared an iPhone 5 vs Samsung Galaxy S4 vs Nokia Lumia 920 on April 2013 and saw that the Galaxy S4 beats the iPhone 5 beats the Lumia 920. I made an iOS and Android app, even a Windows Phone app for mobile. @SonPhan:What phone does Bob Tabor have? 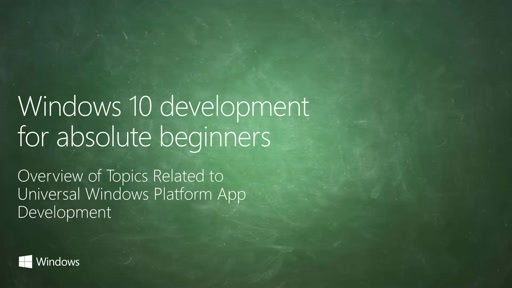 Hi Bob, I finished the C# fundamentals and started the Windows Phone 8.1 for absolute beginners. The series are great, but is it possible to add this serie to the Microsoft Virtual Academy as well? Then I don't need to search for it every time I want to go on with a new episode. Someone please develop a software to download channel 9 series videos. It's very hard to download 80 videos one by one. @Paul1967: This is for "absolute beginners". I'm sure there's content on Channel9, Windows Dev Center or Microsoft Virtual Academy that discusses the content you're interested in. Also, if you let me know specifically what type of content you're interested in, I might be able to find it for you -- it might be here, just later in the series when we build complete apps together. @Shashank: That's up to you ... almost completely different content, and yet almost ALL of the concepts / APIs in 8.1 work in 10. @Red: Working on it ... that's no small task! @philliphs: You'll have to ask the good folks at Microsoft about that. Sorry. @Niner386929: Build it, my friend! The world will thank you!!! @SonPhan: I've got four phones and switch between them ... 2 Windows Phones, an iPhone and an Android. It helps me see what's going on across all the platforms. Click "Series" tab and search page for "Windows 10 development for absolute beginners". You'll be able to download a PowerShell script or a WGET script, which will download the files for you. @Niner386929: In addition to @snoopie's link, here's another link that offers a good PowerShell reference template. @BobTabor Just want to know will this series talk about integrating Cortana into an Apps? Thanks! @BobTabor: Just want to know will this series talk about integrating Cortana into an Apps? Thanks! PS: I just found the #79 episodes :P Thanks for the tutorial!! @BobTabor Thanks for your answer. I'm currently still watching the episodes so the information I'm looking for might be further on. I don't want to miss any of these nice episodes so I restrain my curiosity :) I'm looking for information for the step after this introduction to producing a uwp project which uses the mvvm pattern with tools like template 10 together with an mvvm framework light mvvmlight. For beginners like myself it's not an easy step to dive into the documentation on github of template 10 or mvvmlight and build quality software. Your series and pace are very good and it would be nice if you could add an epsiode on conventions for setting up a project using the mvvm guidelines and tools for it. But that said I might find it in later episodes. Also there is one topic that is not covered in this series (I think): MapControl and geofencing. This choice might have to do with the fact that MapControl is not rendered in the phone emulator so the nice location tooling in the Windows 10 phone emulator are useless until Microsoft fixes this bug. In your Windows8.1 phone series you covered this, and I tried to upgrade your MapNotes example to uwp but MapControl just doesn't work in the emulator. @TomaszS: The time you're referring to ... I had some severe depression going on, and after some therapy and meds I got back on my feet again. I wrote a whole blog post about it if you're interested. @Paul1967: Hi, unfortunately Template 10 was not in the scope for this series. I'm sure the creators will create some absolute beginner content around it to help. And sorry ... we don't have a MapControl or geofencing example, either. As you can see this content is totally different. We'll keep that in mind if there's ever another version of this series. Hi! First, great series. Second, I had a problem, but I fixed it. My question is why it's like this or if I did or did not do something right. Here's what happened and how I fixed it in case it helps someone else. I figured out how to clone your repository of examples in VS. When I open one of your solutions, the code behind page is full of squiggly lines, starting with the very first using System; line. Hovering over a line, VS complains that I'm missing a reference to mscorlib. Under references, I have Analyzers and Universal Windows. I stumbled around and finally found Restore NuGet Packages by right-clicking the solution in Solution Explorer. This added in a reference for Microsoft.NETCore.UniversalWindowsPlatform and all was well. Almost. To debug, I only had options for Device and Remote Machine. No Local Machine or phone emulators. I then noticed that the Active config property of the solution was set to Debug|ARM. I changed it to Debug|X86 and all the debug targets returned. As I said, my question is why? What 2 Windows Phones, Androids, iPhones do you have? Hey Bob, Can we can really run Windows/W10M Emulator in Windows 10 now without requirement of the PRO version as was before? @Sundawn: I'm pretty sure you don't need Windows 10 Pro ... but don't take my word for it. You should probably search for it. Windows 10 Pro (or greater) is required. @stahtufiang: No, there's really nothing in C# 6 that is a "must know" to build apps and I want to keep the barrier to entry as low as possible. @jeffcato: "I changed it to Debug|X86 and all the debug targets returned." I'll be honest, I don't know the answer to that question. Perhaps someone at Microsoft could help us out here? @BobTaylor: Actually Previously, Windows Emulators were Hyper-V Specific Files therefore needs Hyper-V to run & Hyper-V is available only on PRO or Higher versions and not on the Standard Version of Windows. So if it can be really possible now to emulate them in standard version of Windows 10 it will be really helpful for developers as well as for me as most people usually have standard version of Windows. So just for confirmation and Knowing, which version of Windows are you using during this series or currently during any development? @Sundawn: You are correct and I just verified this with the team at Microsoft. Windows 10 Pro or greater is required. I edited my previous reply. Thank you. If it can also be used on Standard version then that would be great. Well thanks for your Confirmation. I don't require Chinese subtitles, please just suply the English cc subtitles,Thanks. Thank you for this series. Love Bob Tabor videos at channel9 & MVA, hope you do more. About the developer tools i'm sad i can't run the Windows phone 10 emulator because i have Windows 10 Home. Microsoft, please make Hyper-V available for windows 10 Home users.... It would be cool. Now that I bought the Home edition upgrading to Pro is actually more expensive. Hey Bob, Clint and Andy thank you very much guys for these UWP development for Windows 10. Learning lot of things actually with such amazing suite of beginners video series for my very favorite OS of all time, yup you guessed it right its Windows 10. UWPs I just love you and started developing from day one itself, you posted these videos on Channel9 for my dream UWP on Windows 10 devices from Raspberry Pi to Hololens. Howdy Bob, Andy and Clint. I am new to Phone Development (3 months) but thanks to your (and others) videos here and on Virtual Academy I was able to build my first Web API 2 service and side load my first corporate business phone app on a phone with the current build of Windows 10. FUN!!!! Hey, just found this series yesterday and am downloading all of the videos to a thumb drive so that I can watch them at any moment. You guys are a BLESSING. Thanks to you guys and whoever was generous enough to cover the cost for us to have these tools. Just had to say thank you! Just one thing is missing: the Closed Caption. I do hope it will be available soon. I'm developer for more than 15 years (10 recent years in SAP ABAP that's my job). Let's start over again, just for hobby! thank you very much for these lessons. I am half the way in your c# tutorial and looking forward to join you later at windows 10. i am just wondering if I would achieve all this. I am really an absoute beginner. Big thanks to Andy, Clint and Bob for this series. I've watched a lot of your videos on Channel 9 and they are all great. I'm looking forward to getting stuck into this one and building universal apps. I just hope my phone gets Windows 10 so I can test on it. I am curious if he had a Mac, or which iPhone, Android, or 2 Windows Phones Mr. Tabor owns. iOS > Android > Windows Phone. He is in the wrong direction, which is Windows > Android > iOS. He fell in love with Windows, so he does have a Mac. Just installed VS2015 Pro and I appear to be missing some components. My Toolbox is 100% empty. Also, when I open HelloWorld.xaml from Solution Explorer, I don't see the design canvas - I only see the XAML code. What do I need to enable? They could put support in Spanish. Is it possible for you to present the following video tutorial series by Bob on MVA or Channel 9? 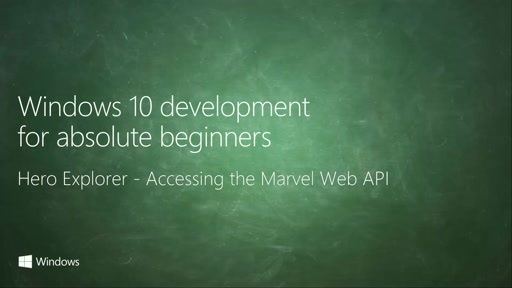 Most other ASP.NET courses on MVA/Channel 9 are Level 200 courses. I need a basic series like the series developed by Bob Tabor. His series are really helpful for beginners. I'm not going to comment on every video, but this series has been absolutely brilliant. Thank you Bob! I always like following your series, but I usually don't have the time for my app development to come to fruition. I've barely done anything on Windows 8.1. I have a Windows 8.1 Phone. Is it even worth me going through your Windows Phone 8.1 series? Or just starting on this and getting a cheap Windows 10 Phone to test it on? Since all phones will be getting an upgrade to Windows 10 in the near future and I'm quite slow to get started on things shall I just start on this series and ignore Win 8.1 phone? I want to build an App that can modify an image, paint on it and etc...but I couldn't find any way in universal for do that. Is it possible at all? if yes, could you help me? I can read english good but my listening is poor. Is there sub title for this series of videos? Thank you very much for such a great course. Very easy to comprehend information, explanation is perfect. Worth mentioning that Bob's speech is good for understanding from the perspective of teaching people whose native language isn't English. a minha duvida é que nesse curso Windows 10 Development for Absolute Beginners posso adquirir conhecimento suficiente para criar um projeto para o meu curso da faculdade, estou com um projeto de criar programa para controle de estoque de uma firma? Desculpe-me se a pergunta não está sendo oportuna. E agradeço por tudo.